Hazrat Sheikh Ahmad Hawāri رحمه الله was referred to as "the Flower of the Land of Shaam." It has been mentioned that once in a dream, he saw a beautiful damsel from Jannah. Her face was exceptionally radiant. Hazrat Sheikh Ahmad Hawāri رحمه الله said to her: "O Damsel! Your face is wonderfully radiant." She replied: "O Ahmad! 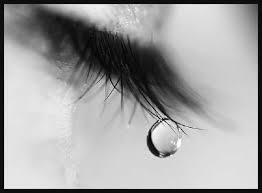 The glitter (Noor) on my face is the effect of the tears you had shed on a certain night. I rubbed those tears on my face, hence this radiance." 4. And as long as he does not strive in ibaadah. Only then will he be a sincere repenter." With regard to the institution of Tawbah (repentance), Ārif Billāh Hazrat Moulana Hakeem Akhtar Sahib رحمه الله has said that when a person has a firm determination not to commit a sin; also have the intention that one will not break his promise. This is enough for the acceptance of repentance. Shaitān will say to you: "You are breaking your vow constantly by committing sin. What is the use of repentance?" Hazrat Hakeem Akhtar Sahib رحمه الله said that one should not take notice of this evil whispering (waswasah); although one acknowledges through the experience of life and certain that one will not be able to be firm upon the resolution not to sin. Inspite of this, at the time of repentance, one should have a firm intention never to sin again. A human being realises his weaknesses and (readily) admits that he has broken his vow a thousand times through his unworthiness. At this moment, one should say to Allah Ta'ala جل جلاله: "This intention of repentance which I have made is not dependent on my strength but it is dependent upon You. You have created me weak so I am weak." We have to thus realise that being involved in heedlessness and hardheadedness are spiritual tragedies. May Allah Ta'ala جل جلاله grant us the tawfeeq to acknowledge our faults, bless us with the bounty of tears of remorse and corresponding actions of virtue.